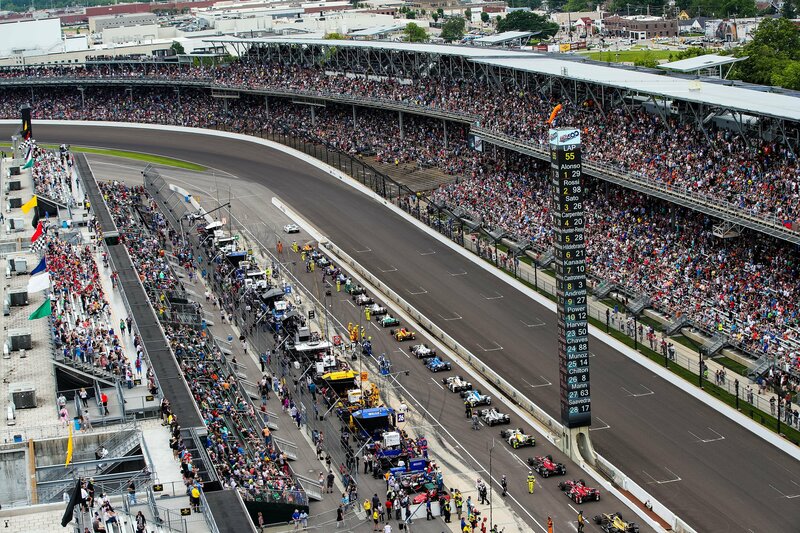 Qualifications for the Indianapolis 500 presented by PennGrade Motor Oil are set for May 19-20, a week ahead of the 102nd running of the race on May 27. This year, driver and entrant points will be awarded to the top nine qualifiers for the race. The pole winner earns nine points and the second-fastest qualifier eight points, with awarded points decreasing by one point for each position down to one point earned by the ninth-fastest qualifier. Race points for the Indianapolis 500 and the 2018 season finale, the Grand Prix of Sonoma on Sept. 16, will still pay double the normal points for driver and entrant. Qualifying Order: The qualifying order for all oval track events except the Indianapolis 500 will be determined by entrant points entering the event. The qualifying order will run in reverse order of entrant points, with the highest in entrant points qualifying last. A car without entrant points will be placed at the front of the qualifying line. If more than one car has no entrant points entering an event, a blind draw among those cars will determine their qualifying order at the front of the line. The qualifying order for the Indianapolis 500 will still be determined by a blind draw. ISM Raceway Test: Times have been set for the series-wide open test at ISM Raceway (formerly Phoenix Raceway), scheduled for Feb. 9-10. The track will be open to all cars from 3-6 p.m. and 8-11 p.m. ET both days. INDYCAR has also added four hours of track time on Feb. 8 (3-7 p.m. ET) for rookie drivers to complete their oval test assessments. Portland International Raceway Test: The series-wide open test at Portland International Raceway will be held Aug. 30, a day prior to the beginning of the Grand Prix of Portland race weekend. Indy car racing returns to the Pacific Northwest for the first time in 11 years in 2018. 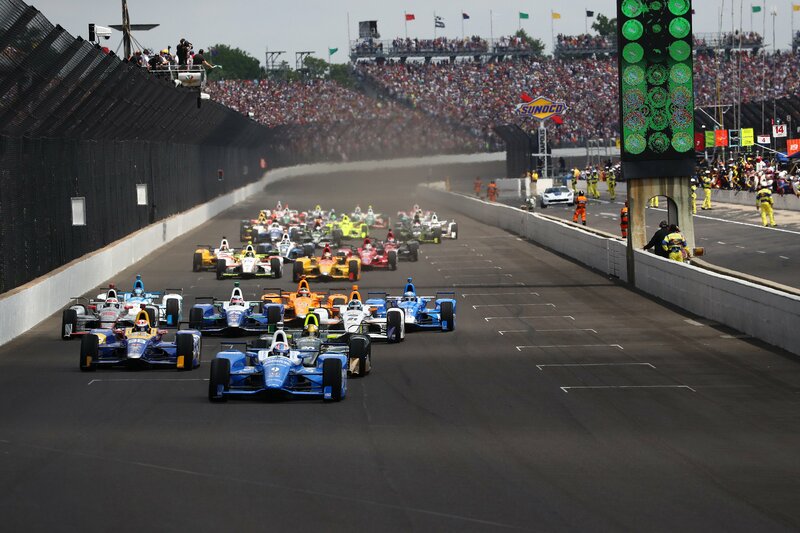 Schedule Change: A schedule change for the month of May will see the INDYCAR garages closed on May 13 – the day after the INDYCAR Grand Prix on the Indianapolis Motor Speedway road course – to allow teams time off for Mother’s Day. The track will not be open to the public on this day. The garages will be open on May 14, but there will be no on-track activity. Practice for the 2018 Indianapolis 500 begins Tuesday, May 15 on the IMS oval, with the first two hours open for rookie orientation and veteran refreshers, then to all cars. Practice continues May 16-18, ahead of qualifications weekend May 19-20. Private Test: INDYCAR is granting teams that did not participate in fall manufacturer testing with the universal aero kit an additional half day of private testing. The testing is limited to one car per team and must take place in conjunction with the team’s first on-track test of 2018. Each team is permitted five hours of track time and two sets of Firestone tires. Tires: Working with Firestone, INDYCAR has increased the tire allotment at five events. The race weekends at ISM Raceway, the Raceway at Belle Isle Park in Detroit, Texas Motor Speedway, the streets of Toronto and Iowa Speedway will see teams receive an additional set of tires. In a related change, drivers outside the top 10 in the point standings will no longer have an extra set of tires available to them for the opening practice session of a race weekend. Weight: The minimum car weight for 2018 has been increased by 10 pounds – to 1,620 pounds for road and street courses and short ovals, 1,590 pounds for superspeedways (both do not include fuel, drink bottle and its contents, driver and driver equivalency weight) – to accommodate for new parts and additional on-car cameras related to the universal aero kit all competitors will run in 2018. The 2018 Verizon IndyCar Series schedule consists of 17 races, beginning with the Firestone Grand Prix of St. Petersburg on March 11 and concluding with the Grand Prix of Sonoma on Sept. 16. Teams will gather for a series-wide open test at ISM Raceway on Feb. 9-10, with the second day of testing offering free admission for fans to attend.